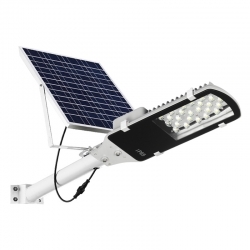 High quality intelligent 10W 20W 30W 50W LED Solar Street Light with built-in battery Transparent lamp shade, Resitant to water, dust, mosquito and more; LED chip long life span; Built-in battery, Lituium iron phosphate battery with 1800-2000 times cycle life; Light poles, Adapt to the most light poles in the market. HZB Lighting develops efficient solar powered LED street lighting, New Solar Powered Smart LED Street Lighting Luminaire. 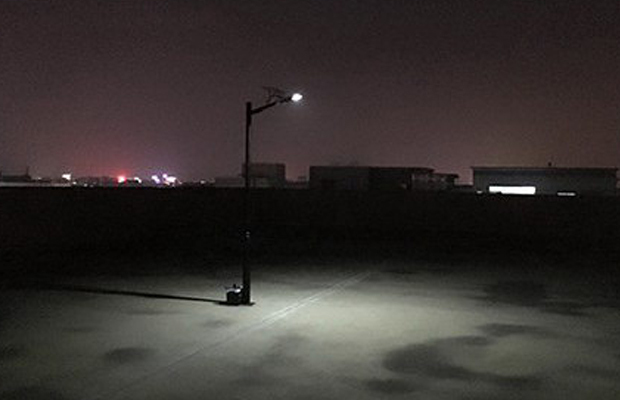 Transparent lamp shade, Resitant to water, dust, mosquito and more; LED chip long life span; Built-in battery, Lituium iron phosphate battery with 1800-2000 times cycle life; Light poles, Adapt to the most light poles in the market. 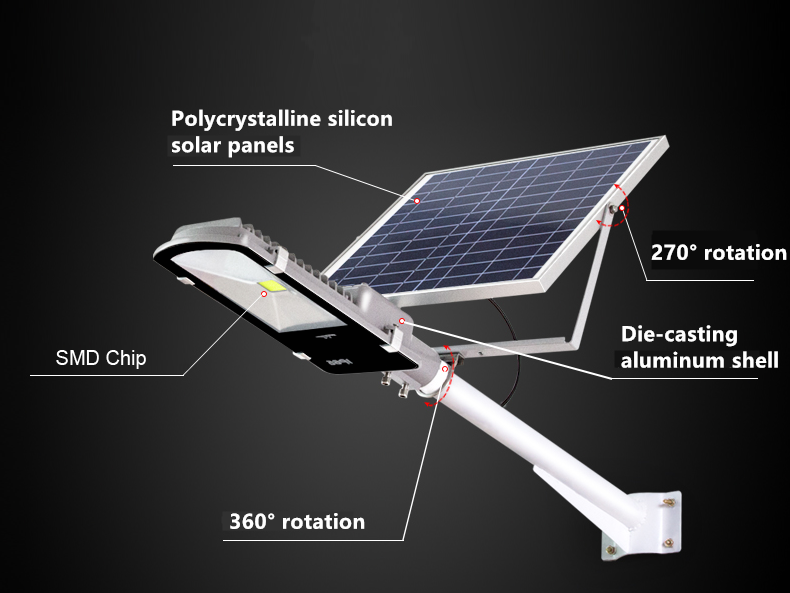 1) Wireless application-Combined solar panel, controller, battery and LED lights into all in one. 2) Patent design-Beautiful and modern appearance, simple and stylish. 3) Lithium battey-Adopt lifePo4 battery to replace traditional gel battery, longer lifetime. 4) Modular design-All components are modular design and in standardized production. 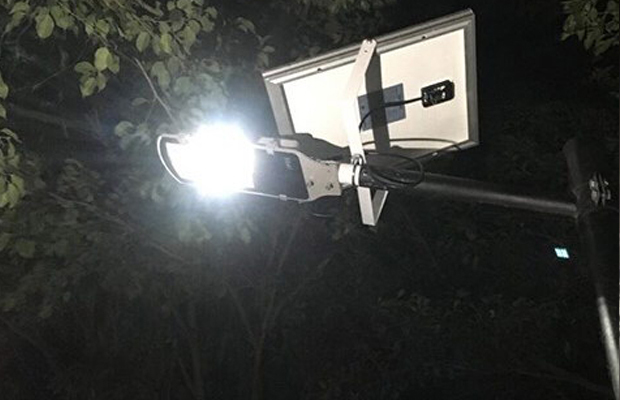 Widely use in courtyard, villa, rural road, park, square, farm, school, slow lane etc the places where need outdoor lighting and with enough sunshine, and it's no need cables, no electricity, energy-saving and lone lifetime. 1) Tremendous energy saving: more than 75% electricity saving over conventional sodium light. 2) Power efficiency over 90%,Power factor up to 0.98,THD less than 10%. 3) Environment Friendly: Without harmful radiation and lead-free. 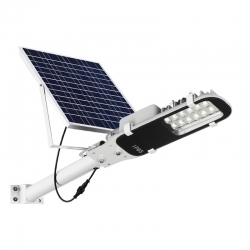 5) Light up to 10 years, comes with 3 years guarantee time. 6) LED chip is from original Epistar in Taiwan or OSRAM, CREE. Normal work 11 hours, 365 daylights, with light sense. Copyright © 2009-2018 HZB Lighitng Inc. All Rights Reserved.